Jimmy and I took Thursday and Friday off of work last week and sent Lola and Mavis to my parents’ so we could have a little staycation! We weren’t sure if we would be out of the house for long stretches of time, so we figured it’d be good to have the girls stay with my mom and dad. 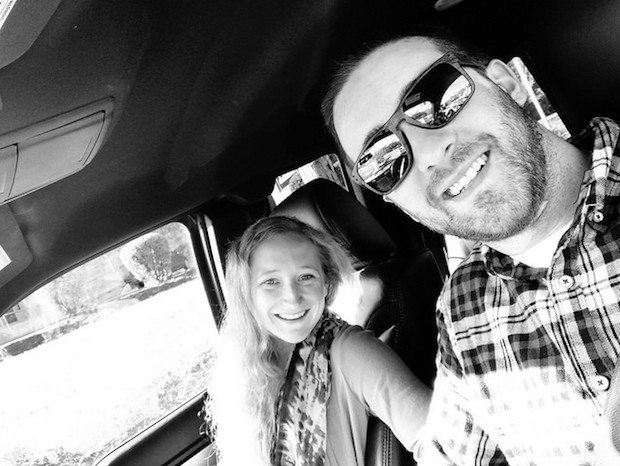 Plus dogs = extra responsibility and we wanted our time together to feel like a vacation. I was definitely starting to feel burnt out from the busyness of life lately, so it was wonderful to take some time to relax and rejuvenate with my main man. I missed the girls so much and literally felt guilty for having them stay with my parents (even though I knew they were having a blast and were in good hands). Jimmy and I had such a wonderful time, though! At first, we had these grand plans to go to a hunting and fishing store in West Virginia, or to visit the National Aviary here in Pittsburgh, but we didn’t do much of anything and it was honestly perfect. 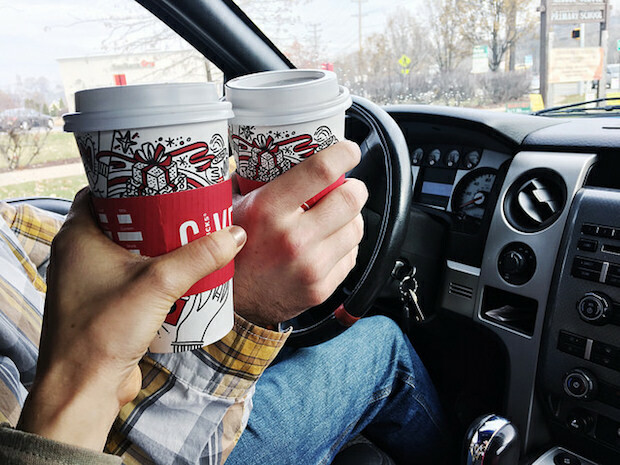 I’m usually team Dunkin’ when it comes to plain coffee, but I tried the Starbucks Christmas Blonde Roast coffee and was a big fan. Jimmy got the salted caramel mocha and said he highly recommends it! 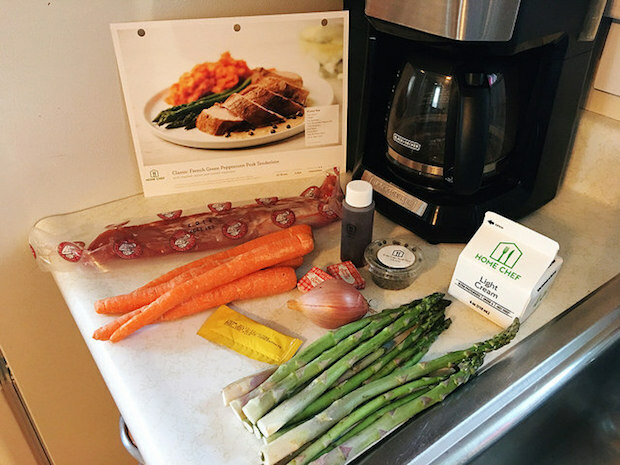 We had fun testing out three meals from HomeChef as part of our little experiment with meal delivery kits! Spoiler alert: we liked HelloFresh more than HomeChef. I’ll definitely blog more about this as we try other companies. We are looking into Plated and Sun Basket next! I also grabbed some accessories for the planner I bought for 2018! Is anyone else obsessed with all things planner-related? 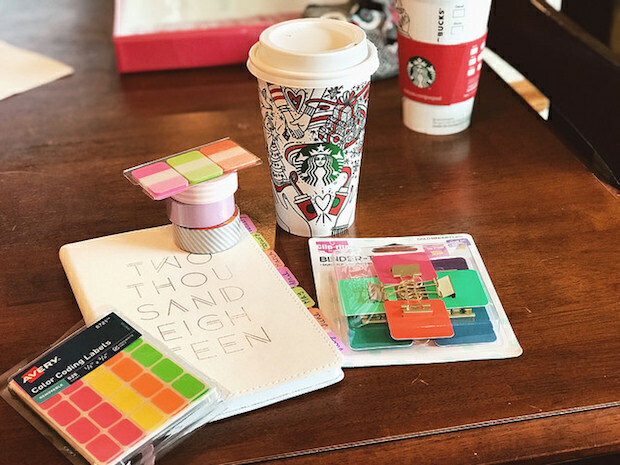 For 2017, I had an Erin Condren planner and liked it, but wasn’t a fan of the price tag. I decided to go with a planner from Target for 2018 and bought some binder clips with tabs, washi tape, page flags, and color coding labels to gussy it up! After a restful staycation, Jimmy and I met my parents to pick up Lola and Mavis this afternoon (Saturday) and we’re all back home. Mavis fell asleep on the way home and is currently crashed out on our bathroom rug (aka the only patch of carpet-like material in our all hardwood flooring house). It’s safe to say she and Lola had a great time with my parents and Jimmy and I had a great staycation! If you use a planner, are you loyal to a certain brand? Have you ever done a staycation? Current book Sisters First by Jenna Bush Hager and Barbara Pierce Bush. I’m about halfway through and really enjoying it. It’s neat to have an inside look at the Bush twins’ life. Also reading II Peter during my devotion time! Current mood Relaxed. Jimmy and I both took two days off of work to have a staycation together and it’s amazing. I slept until 8:30 am yesterday! Current need Texting gloves. It’s getting cold here in Pittsburgh, so I’m always wearing mittens or gloves when I walk dogs. The only problem is that I need to be able to take pictures and text my clients without freezing my hands off (dramatic, I know). Current blessing Jimmy and I had a family from our church over for lunch in late November and it was such a lovely time with Christian friends. Current beauty product Seche Vite Dry Fast Top Nail Coat. 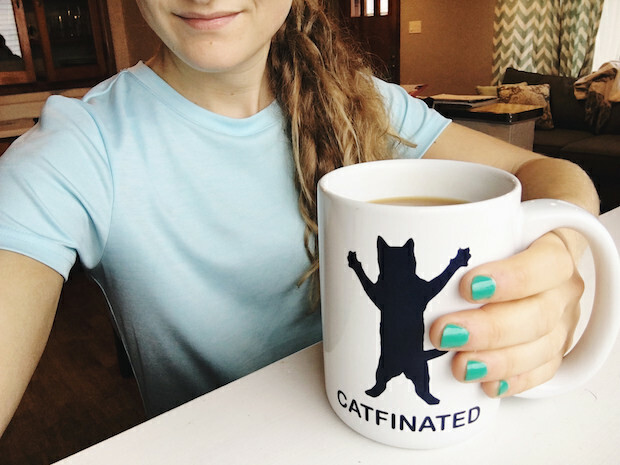 I’ve been trying to paint my nails once a week, and this top coat works wonders for two reasons: it drys super fast and really protects the polish underneath from chipping. Yay for non-chipped nail polish! Current procrastination Getting my hair trimmed. I keep trimming it myself to save time. I know it’d be good to have a professional do it for once. 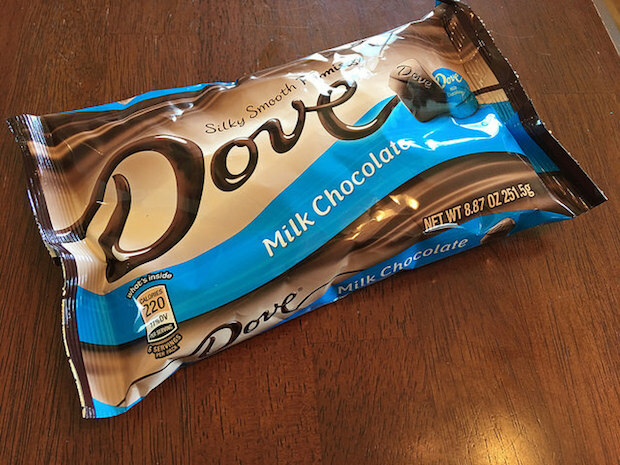 Current obsession Dove milk chocolates. I love having these after a meal for something sweet. Yum! Current craving Meeting mine and Jimmy’s cousins’ son. They just adopted a ten-year-old boy from China and I cannot wait to meet him! Current excitement I photographed a gorgeous property for my family’s real estate business. It’s a huge horse stable facility (I feel like there’s a more official name for that?!) 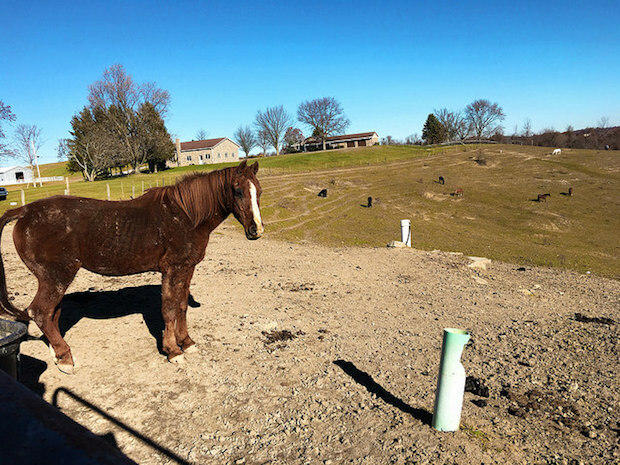 with acres and acres of land for horseback riding. It was so peaceful. Current drink Coffee! Really enjoying the Organic Honduras Whole Bean Coffee from Aldi. Current prayer Jimmy and I do a lot of communicating and working with a family at Shiloh Christian Children’s Ranch, which is a safehaven for abused and neglected children. The homeparents told us that this time of year can be especially hard for the children living with them, as it can bring up memories of trauma. We’re doing a lot of praying that this holiday season would be a great one for the children living there. 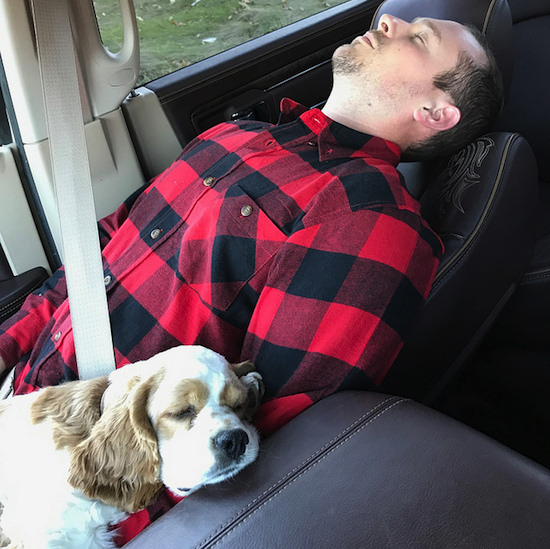 Current confession I love this picture of my brother and Mavis napping together in my dad’s truck. 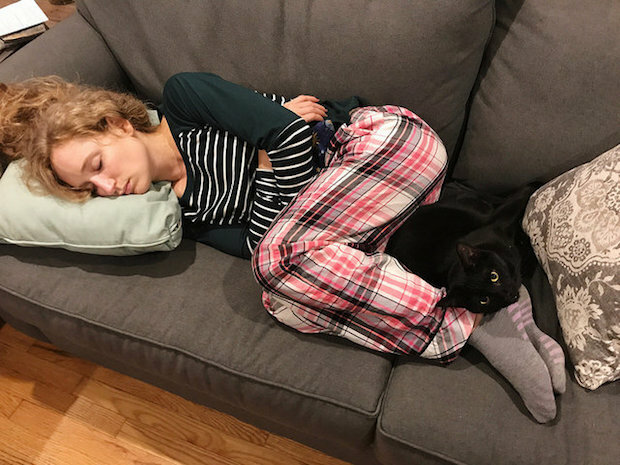 I’m also a little jealous she actually napped with him. 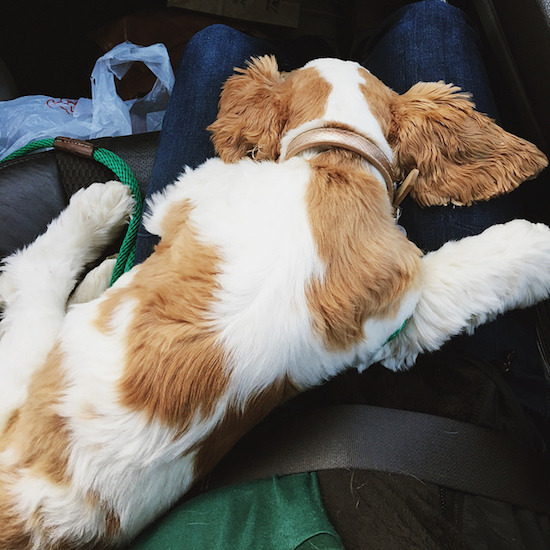 Mavis is usually looking out the window when she rides on my lap! Current question What are you doing this weekend?